(Natural News) Far from just being a popular facet of Bengali cuisine, the fruits of ivy gourd (Coccinia grandis) are also coveted for their medicinal value. The benefits range from maintaining a healthy digestive tract, improving one’s metabolism, to even preventing kidney stones. Another benefit that ivy gourd has is its anti-diabetic properties, which a group of researchers assessed in depth. Through testing and analysis, they discovered that ivy gourd fruit contains an abundance of nutrients that make it ideal for diabetes and diabetic complications. The researchers, who are affiliated with Bharathidasan University Constituent College for Women and Mohamed Sathak College of Arts and Science, began by collecting ivy gourd extract from mature, unripe fruits. The extract was then subjected to phytochemical analysis in order to determine the types – and the amount – of present bioactive compounds. Also included in the analysis were assays on the scavenging capacities of ivy gourd extract, as well as its effects on cells and insulin secretion. All tests were carried out three times. Through phytochemical screening, the researchers were able to determine the presence of natural compounds known for their health-promoting benefits. These included saponins, which are said to be anti-fungal and anti-carcinogenic, and phenolic compounds, which have antioxidant properties. The researchers credited these natural compounds as being responsible for the hypoglycemic and antioxidant activities of the ivy gourd extract. Additionally, ivy gourd extract was found to impact glycation, a process wherein sugar molecules glom onto fats and proteins to create advanced glycation end products (AGEs). The higher the blood glucose, the bigger the number of AGEs, and the higher the risk of diabetes and related complications. Ivy gourd extract halted the outset of glycation and its progression. Furthermore, in vitro testing showed ivy gourd extract could also impede amyloid cross beta-structure formation, a side effect of glycation which inhibits the aggregation of insulin. As for the antioxidant activities of ivy gourd extract, the researchers noted that these increased parallel to the concentration of ivy gourd. The free radical scavenging capability of this plant was such that it could protect cells from death by alloxan. This pyrimidine derivative can destroy insulin-producing cells. Specific concentrations (0.250 mg/mL and 0.50 mg/mL) were noted for enhancing insulin secretion by 1.28 and 1.71-fold, respectively. “From the results obtained, it can be concluded that the [ivy gourd] mature unripe fruit extract possesses profound antioxidant, antiglycation, insulin secretory activities,” The researchers wrote in their study, published in the Journal of Traditional and Complementary Medicine. The added that their findings were only the result of a preliminary study, but were promising nonetheless. At the time of the study’s publication, further studies by the same team of researchers were underway. This plant is native to East Africa and has since spread to Asia, America, and the Pacific. While popular in Bengal, ivy gourd is considered a nuisance in Hawaii and the Mariana Islands. There are a variety of ways to eat ivy gourd fruits. Soups, porridge, stir-fries, curries, and stews containing ivy gourd are some of the most common. Ivy gourd has numerous at least two other names in the English language. 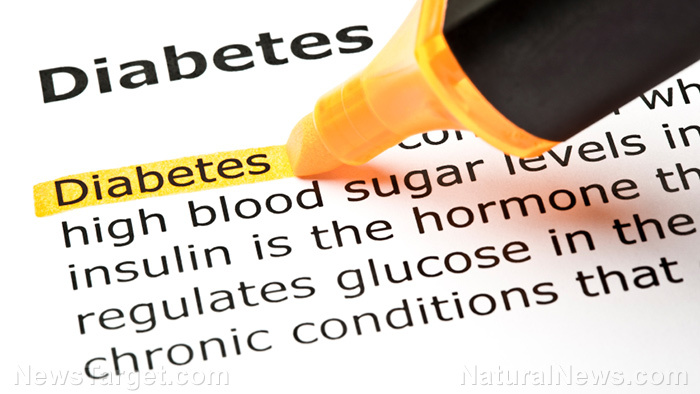 Discover other natural methods of preventing or controlling diabetes by going to DiabetesScienceNews.com.